Aedas-designed Mongkok Residence is highly commended by 2014 MIPIM Architectural Review Future Project Awards under the Residential category. With a population density of 130,000 people per square kilometre, Mongkok, a neighbourhood in Hong Kong, is one of the most densely populated places on the planet. Standing on a site of 614 square metres, which is challengingly small, Aedas designed a building that will offer serviced apartment accommodation to occupants and sets an excellent example of contemporary interpretation of traditional architecture. The design of the building drew inspirations from post-war structures. In the early post-war years, it was common to create illegal iron balconies for residential units in Mongkok to acquire maximum view. Aedas reinterpreted these structures in a modern way, using irregular protrusions to create unobstructed views for each apartment. 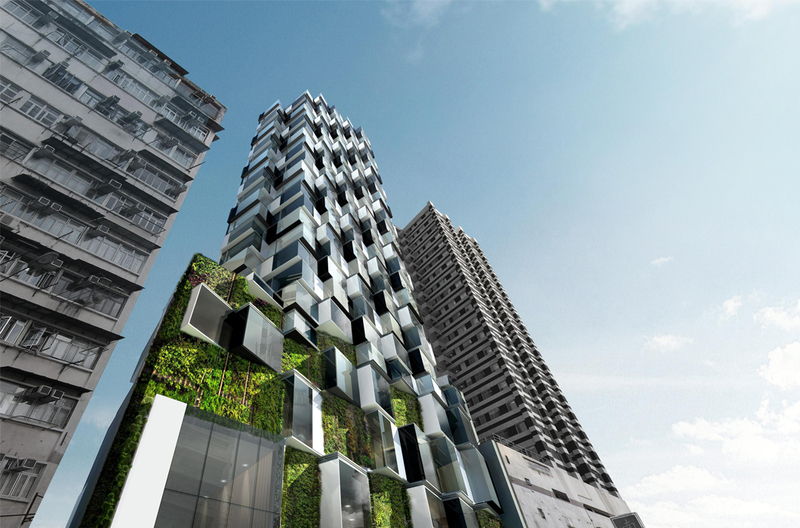 Also inspired by the home gardens which people created on the balconies, Aedas came up with a green wall that seemingly protrudes from the solid façade of the podium to further connect the building with the historical cityscape. This green wall will enhance the quality of life for the neighbourhood by increasing the provision of greenery at the pedestrian level. Besides, the building is set back from the street to allow more opportunities for planting, which creates a breathing space in the middle of the hyperdense neighbourhood and provides rare greenery. It will also transform the outdoor landscape space into an urban backdrop for the building’s public areas such as an entrance lobby on the ground level and a transit lift lobby on the second floor. Now in their 13th year, the MIPIM Architectural Review Future Projects Awards are the only awards exclusively for future projects. 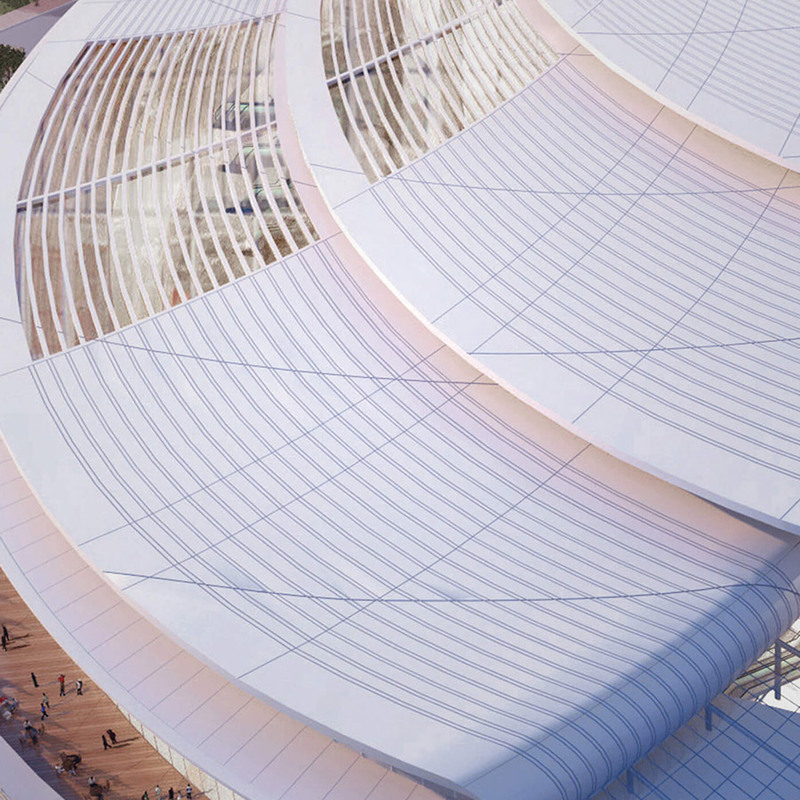 They celebrate excellence in unbuilt or incomplete projects spanning across twelve categories. With a strong focus on creativity, these awards are a chance to showcase projects that are examples of fine architecture, but have also responded to the client's development brief, and considered the way in which they will impact and contribute to the community around them. Three other Aedas’ projects, including the Sandcrawler in Singapore, Daxing Xihongmen Mixed-use Development in Beijing and Center 66 in Wuxi, China are chosen by the jury panel of MIPIM Awards 2014 to be one of the finalists.